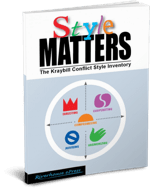 Download a free review copy in PDF of our five-styles-of-conflict, 24 page Style Matters conflict style inventory. Find out about history, validation and who uses it here. Portions blacked out to prevent unauthorized use. We will never release your info to anyone else. If you currently use the Thomas Kilmann Conflict Mode Instrument, you may be interested in Ron Kraybill's assessment of the Thomas-Kilmann, laying out why he developed an alternative. See also this detailed product comparison of the Style Matters and the TKI. Get additional support tools free! 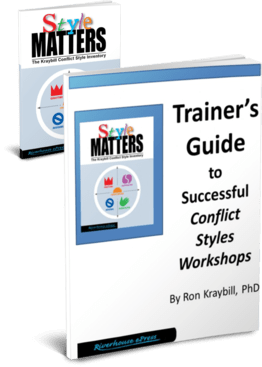 Our 24 page Trainers Guide to Successful Conflict Styles Workshops! Detailed, step-by-step instructions, discussion questions, and reflection exercises. Download now - it's free! 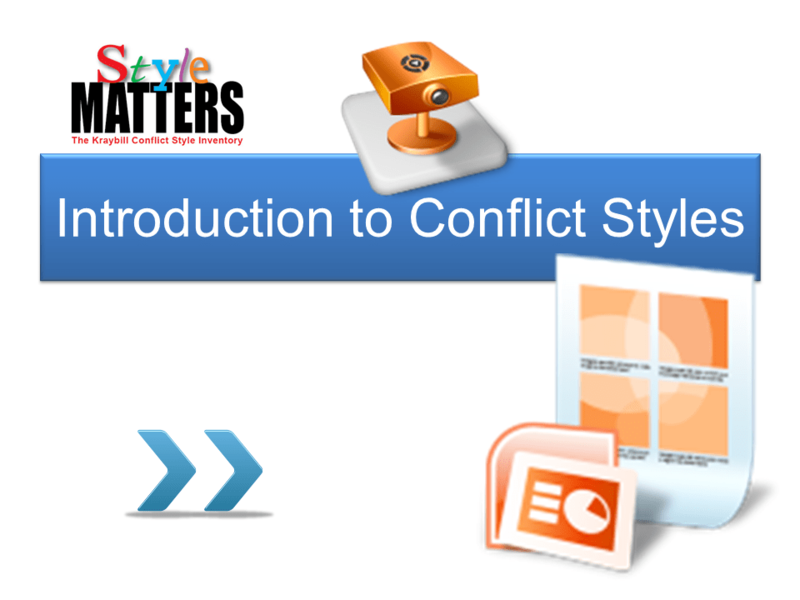 A ten slide presentation in Powerpoint or Prezi format. View free on our site or buy and take it with you! 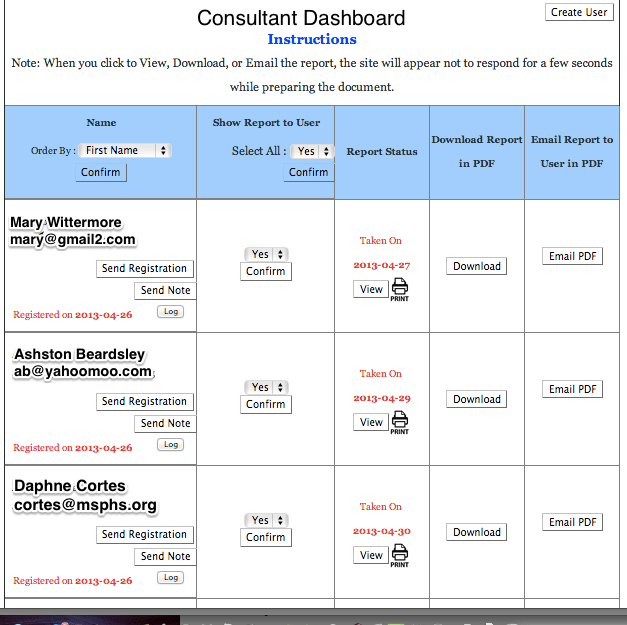 User-friendly Consultant Dashboard gives you powerful tools to manage the learning experience with ease! Create users, monitor who has taken it and who has not, send score reports at a time of your choosing, send emails to the whole group with one click, get a printout of all scores on one spreadsheet for easy score aggregation, and much more. Check it out now!